This is a selection of nibo's digitally hand-drawn Sketchbook, created on Facebook in 2011. Their purpose is to remind you of useful everyday truths and universal values in of human life, thus they are offered framed. The size (19x14cm) is ideal for narrow walls and columns as well as halls and small Washing Cabinets. 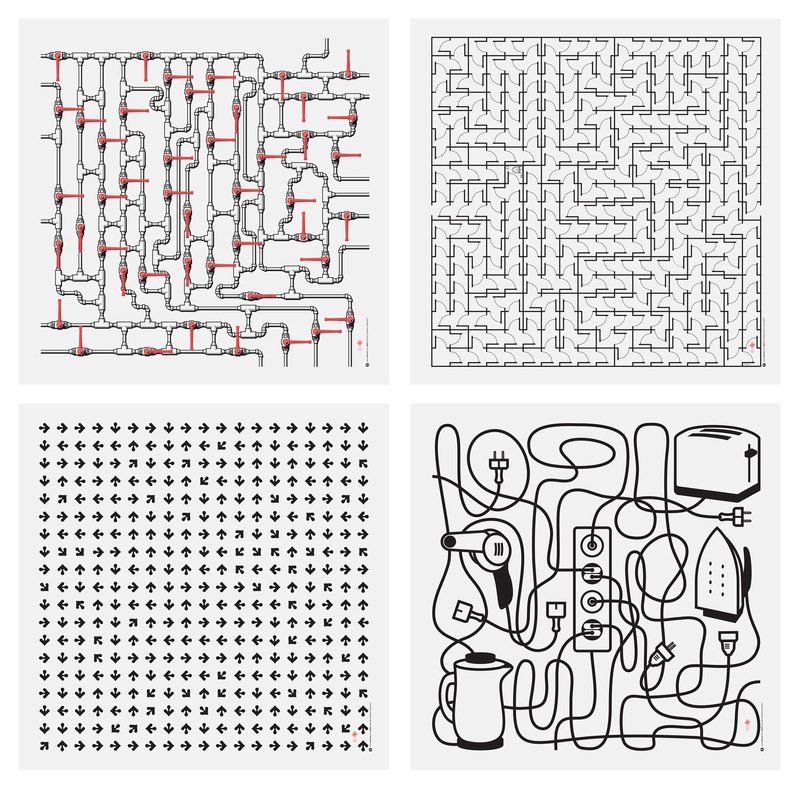 This is a series of Mazes (puzzles to be solved) with the correct path running through the entire maze from left to right (you can view the correct paths by visiting Withink*). All pieces are Giclée* prints, measuring 50x50cm, unlimited edition with no numbering or signature by the artist. Printing takes place in-house (on demand) so please allow up to 3 weeks for domestic and up to 4 weeks for international delivery. *Giclée is a digital printing method, using Octachrome archival inks with the final prints estimated to last over 200 years without significant fading (provided that they are not exposed to direct sunlight for prolonged periods of time). Pre-order periods last for 30 days and carry a 30% discount.